The Law was indeed given to Israel through Moses, but the unfailing love of God and His everlasting faithfulness is seen reflected in the face of the Lord Jesus Christ. 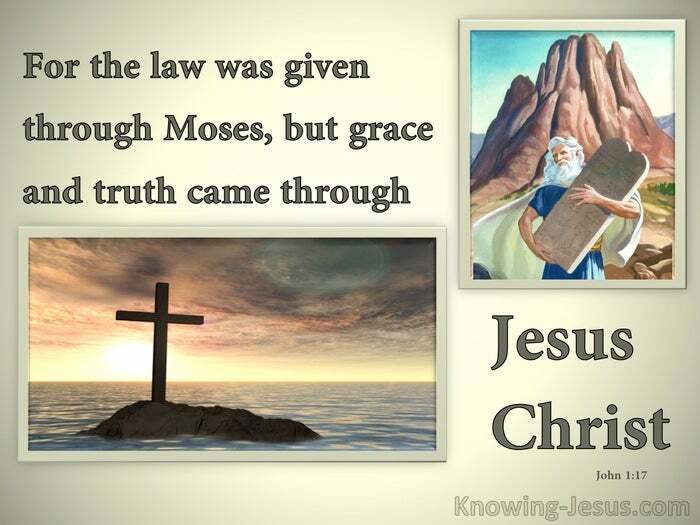 The beauty of grace and truth is contrasted with the stark reality of the Mosaic Law, for the Law was given by Moses – but grace and truth came through Jesus Christ. The sparkling glory of the combined elements of grace and truth shimmer like two precious jewels – in stark contradistinction, with the dark backcloth of the Law. The beloved apostle in his gospel is unveiling the qualities and attributes of the Lord Jesus, one by one – as he reveals that: in the beginning was the eternal Word of God. He is the eternal Word, the incarnate Word – the Word of God made flesh, forever, and He is also Light and Life – contrasting with all that is of darkness and death. The Mosaic Law was perfect in all respects, but the Law was a ministration of death, for the perfect requirements of the Law could never be attained by man’s own merit. But God in His love and mercy sent grace and truth through the incarnate Word.. so that all that believe in His name would not perish – but have everlasting life. The expression of God’s grace is seen in the gift of His Son and His work on the cross, so that by believing on the person of Jesus Christ we may have life in His name. Just as sin ruled over all people and brought them death – so the marvellous grace of God now rules instead, giving us right-standing with God and resulting in eternal life – through Jesus Christ our Lord. The Law requires works, which could never reach the perfection required of God. but grace and truth has come to us all through the lovely Lord Jesus Christ, so that by simply trusting in the name of Christ Jesus we might be given life – through His name. All that Christ is and all that Christ has done is reflected in the beauty of His name. All that’s of grace, that’s been given to man – is on account of the merit of Jesus – for the Law was given by Moses – but grace and truth came through Jesus Christ. The contrast between the pre-eminence of the Son of God with Moses, the friend of God is as gaping a gulf as the supreme excellence of grace and truth over the Law. The immeasurable disparity between the infinite Creator with His finite creature is a measure of the inestimable supremacy of grace and truth over the perfect Law of God. The Law of Moses, though perfect was given to man through a fallen member of a sinful race. 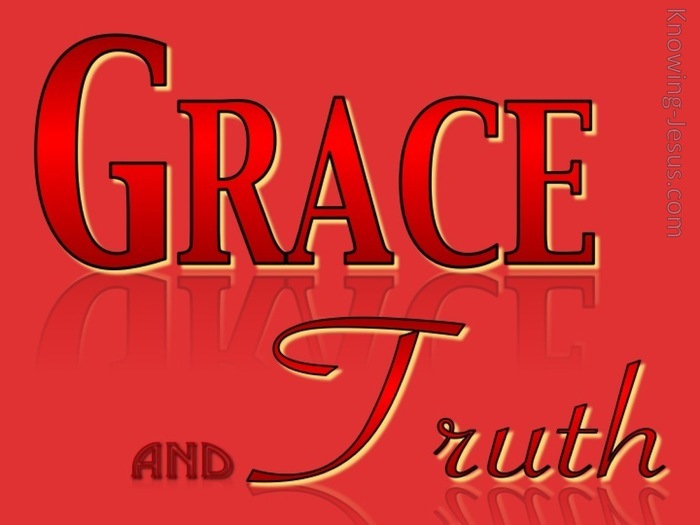 Grace and truth, was the gift of God to condemned sinners, thru Jesus Christ our Lord. Grace without truth – would have rendered the righteousness of God as void. Truth without grace – would have rendered the salvation of man as impossible. What manner of love the Father has bestowed on us that He should shower on sinful man the grace and favour that we do not deserve and cannot earn- but in His perfect life the Incarnate Word of God, in His sinless body on the tree, met all the righteous requirements of the Law – to free us from condemnation so that we might have LIFE. The law indeed was given to Israel through Moses, but the unfailing love of God and His everlasting and faithfulness - is only seen in the face of the Lord Jesus Christ.